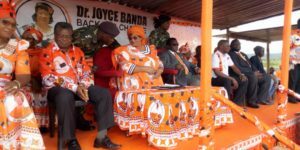 BLANTYRE-(MaraviPost)-Malawi Former President Joyce Banda says her administration will raise the minimum wage for all Malawian employees to MK40,000 from the current MK25,000, representing a 64 percent upward scaling. 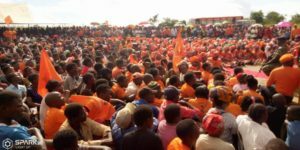 She was speaking on Sunday at Fumba Farm Ground in Lunzu, Blantyre where she addressed a public rally attended by thousands of her supporters and admirers. The former President noted that the local workforce is eking a living awkwardly because of low wages from both local and foreign employers. 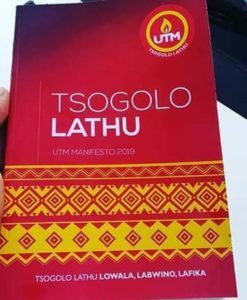 “It is not right for our people to work for the whole month only to get K25,000. We shall adjust that upwards to K40,000 coupled with more efforts to make life easier for this group of people,” said JB. The once Forbes Africa’s Most Powerful Woman further said she will on the other hand also protect small businesses by removing ‘unnecessary’ taxes that hinder sector growth. “Our men and women who operate small scale businesses pay multiple fees to several authorities thereby hindering chances to recapitalize their businesses. This is unacceptable and we will deal with it once and for all,” she said. JB also said she plans to transform the country’s livelihoods by creating ‘Smart Villages’ which will have free electricity and decent housing for all. This program will be a continuation of her landmark Mudzi Transformation Trust which she implemented during her two-year tenure. Dr. Banda also spoke on education, health, agriculture as well as economic growth.